With the warm weather approaching, I no longer have excuses for not getting outdoors. It’s true that this winter has been a hard one and I’ve been preoccupied with moving into a new house, starting a new job, and writing paper after paper for my grad classes — but still, it’s been way too long since I’ve spent the day outside. So to remedy this, Jon and I went on a leisurely hike/geocaching trip along the Hawks Nest Rail Trail. 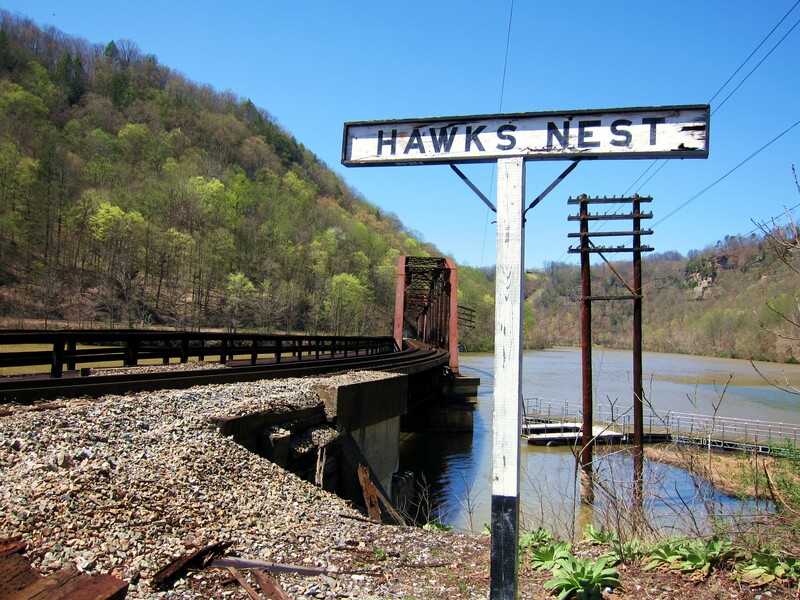 Beginning in the town of Ansted, the Hawks Nest Rail Trail follows Mill Creek down to where it meets the New River at the base of Hawks Nest State Park. The entire length of the trail is nearly 4 miles (1.9 down; 1.9 back) and is a steady gradual decline/incline. This makes it ideal for bikers, walkers, runners, and even children. Perhaps the only threat you’ll have to watch for is mud, especially if you go after a rainstorm as we did. 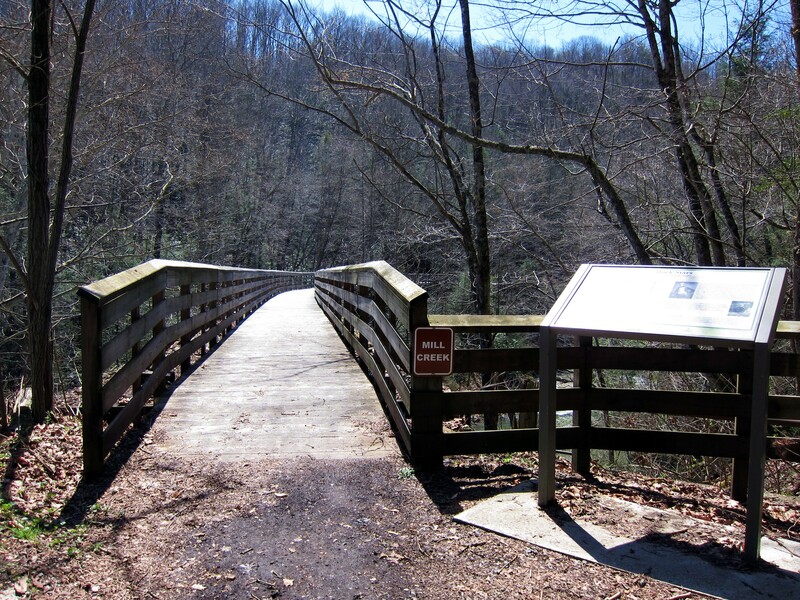 Along the way, you’ll be privy to waterfalls, bridges, and wildlife that help distinguish this trail from others in the area. Remains of the Mill Creek Colliery Mining Company that operated through the 1920s can also be seen along this trail, as it was once an actual railway. 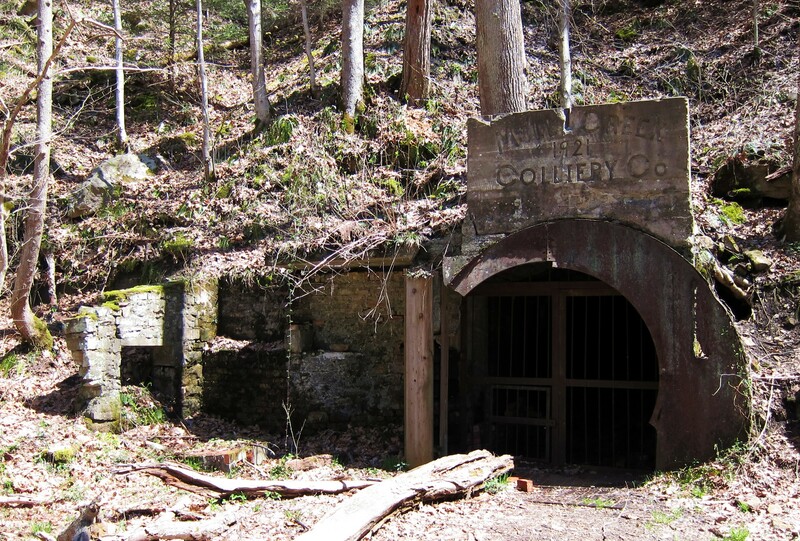 For more information on the history of mining operations along the trail, take a look at this website. 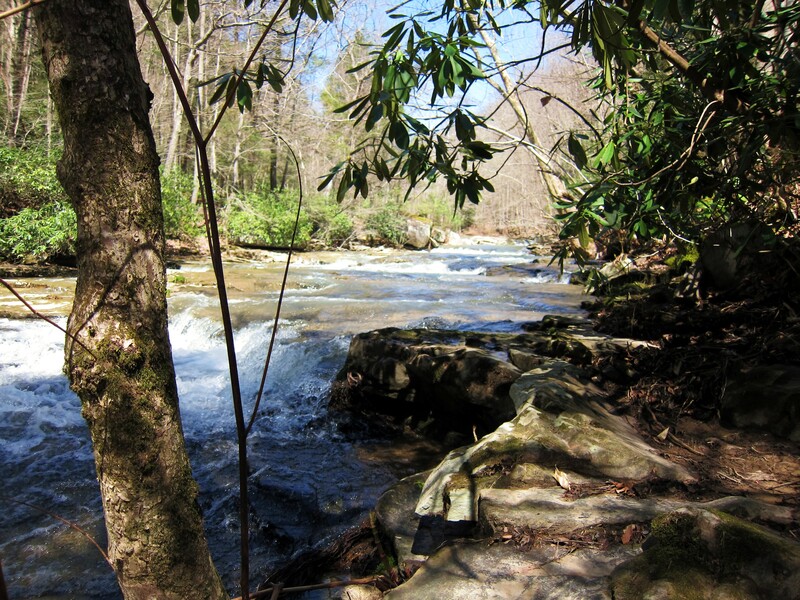 At the base of the trail, you’ll stumble upon the lower grounds of Hawks Nest State Park where the aerial tram is. Because it’s still early April, nothing was open so our only way of getting back up was the way we came. However in the summer months when the tram is operating, you can pay to ride the tram up to the lodge for $3 – $4. However, please note that if you parked at the beginning of the trail in Ansted, you won’t be anywhere near your car once you make it to the lodge. 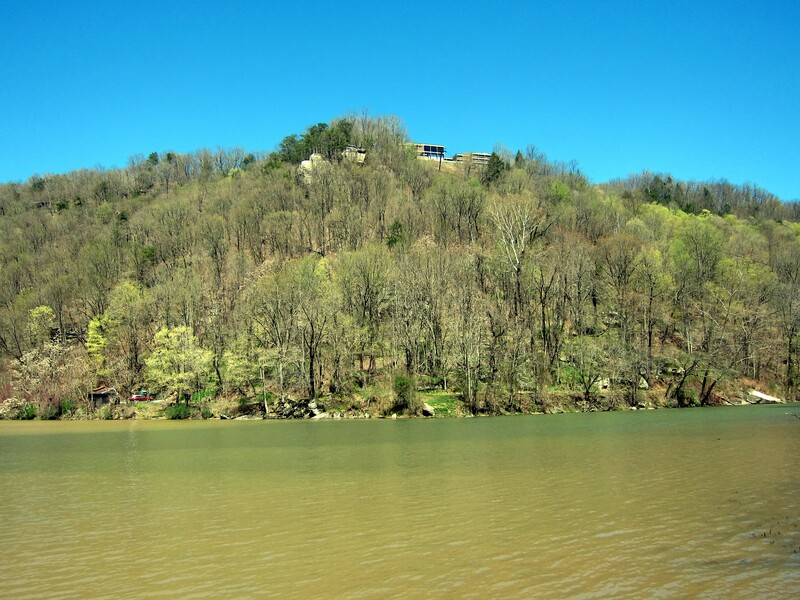 While down at the base, you’ll also see the launching dock for the New River Jetboat, which is a fun ride from Hawks Nest to the New River Gorge Bridge. I’ve been on the jetboat once years ago and plan to go again this summer so if anyone would like to see a post about that, let me know! If you’re into geocaching, there are also two geocaches located along the trail. 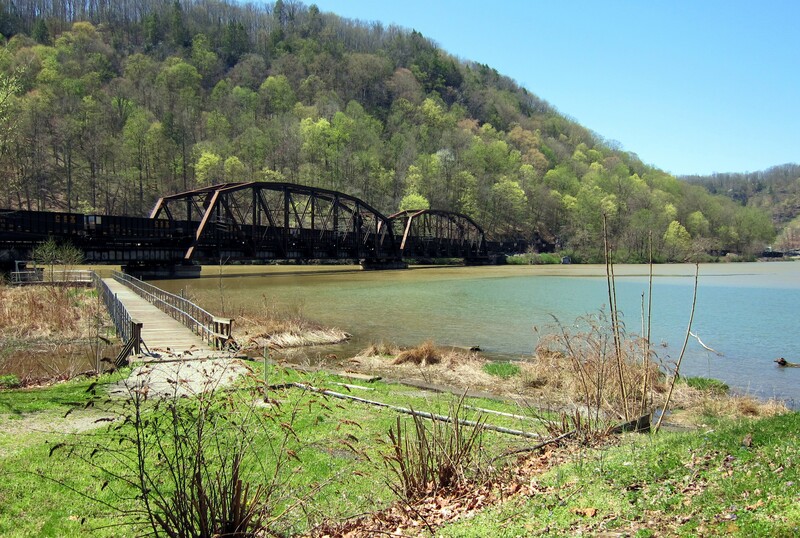 The first you’ll encounter is the Coal Heritage Geotrail #1 (GC260JM), approximately .4 miles from the official start of the trailhead. This one is an easy find and a large ammo can — my favorite! If you continue along, the second geocache you’ll come across is Scouts Stash (GC29T3M). This is another easy one, however if the river is up like it was when we visited, you’ll want to use caution with children to ensure they don’t venture out onto the rocks in the creek. I won’t give too much away in terms of spoilers, but the location of this cache is not somewhere where you want to fall down. We thoroughly enjoyed our afternoon spent along the Hawks Nest Rail Trail and I encourage you to check it out next time you’re in the area. It’s a beautiful sight and easy enough that virtually anyone in the family can utilize it. 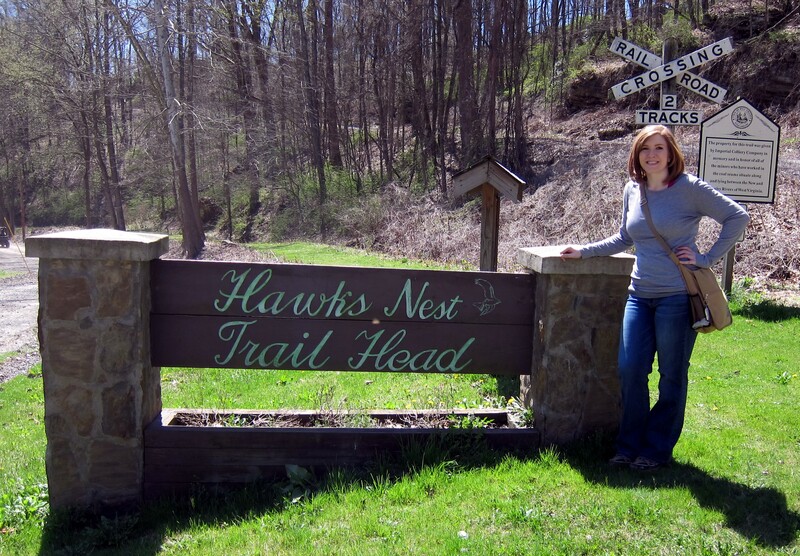 For more information about the Hawks Nest Rail Trail, please visit the Hawks Nest State Park website.